A senior partner and founder of Kasznar Leonardos Intellectual Property, Gabriel Francisco Leonardos has more than 30 years’ experience in intellectual property and is a lecturer and professor of IP courses. 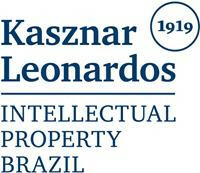 Mr Leonardos has been recognised by international legal and IP guides as one of Brazil’s leading IP lawyers. He acts in litigation before the courts and consults on matters including licensing agreements, patents, trademarks, copyright, unfair competition, trademark prosecution and arbitration and mediation in IP and contract law. Mr Leonardos is a member of the International Federation of Intellectual Property Attorneys and the Licensing Executives Society (LES), among other associations, and is former president of LES Brazil and honorary president of the German Brazilian Chamber of Commerce and Industry. Mr Leonardos is also a member of the Ethics Court of the Interamerican Association of Intellectual Property, and for 14 years was vice president of the Brazilian Association of Industrial Property Agents. Mr Leonardos has a law degree from the State University of Rio de Janeiro (1986), a postgraduate degree in German law from the Ludwig Maximilian University (1989) and an LLM in financial law from the University of Sao Paulo (1996). He was a guest research fellow at the Max Planck Institute in Munich from 1988 to 1989 and received the German Federal Cross of Merit in 2015. He speaks Portuguese, English and German. 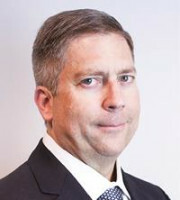 Mr Leonardos has published Taxation of Technology Transfer (1997) and several articles on IP matters.